Life is an interesting experience. Given how different people’s lives are, I find it worth appreciating that they are still so many commonalities amongst us. The one that’s on my mind today is our desire to be happy. We all want to be happy. May be not right now and may be not all the time, but sooner or later we all seek a time when we will be happy. We seek it in the work that we do, in the connections that we build and in the experiences of our daily lives. I did not grow up with this philosophy of ‘seeking’ happiness. People around me then operated differently. Like the philosophy of karma that I gained from those around me, I also learnt that happiness is never worth deliberately pursuing. The status quo of living in India was that one must work and happiness will follow. It is something we experience as a result of the things we do. It is something we derive from making an effort towards something greater. I am not sure that it is my status quo anymore. Coming to the UK and experiencing a different culture has changed my views in many ways. Fighting the ridiculous concept of karma was a difficult but fruitful experience for me. At some level, probably unconsciously, I felt that I also needed to fight this idea of not seeking happiness. I thought that, just like before, I will experience a whole new way of looking at the world. I was mistaken. The happiness paradox is real and my Indian teachings were right. Of course, at some level, I’ve experienced the pleasure of both pursuing a greater cause and surrendering to another person. These are such satisfying experiences that one cannot forget them easily. But I feel I’ve gone too far on the other side this time; I need to remind myself of those experiences and return to my earlier status quo. 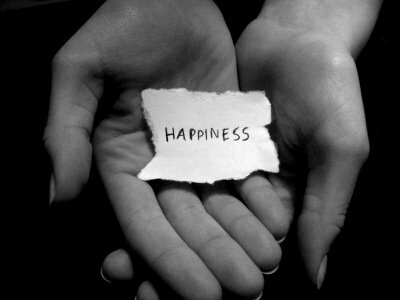 I’m not sure we can seek happiness – maybe we just need to allow ourselves to experience it? Hey Akshat, this is deep. And comes at a time, I’m searching for so many answers. At a time, when I look at things- and wonder, what lies ahead. Good things have been happening to me, after a period of immense struggle- fight- and I think, what really is fascinating, is that, happiness as a concept cannot be measured, cannot be denied, cannot be stolen. It is merely a state of mind. And a state of mind, that, we create pursuant of what we perceive the world around us to be…..
What I am saying is – sometimes I just fight all the pain, negativity and channel my energy…..in the most passionate way, and the romantic in me, finds the world beautiful…..
happiness for me is just letting things go the way they are meant to go and watch them as they go your way!! !